Teachers use Quick Assessments in Goalbook Pathways to assess student learning connected to a specific critical standard at multiple depth of knowledge levels (DOK). This allows them to scaffold student learning to the most rigorous understanding of the standard. Quick Assessments are short, standards-aligned, and have engaging tasks that students can complete within a short amount of time. They all include pre- and post-assessments, practice problems, and answer keys that allow teachers to adequately gauge what mastery of the standard looks like at varying depth of knowledge levels. 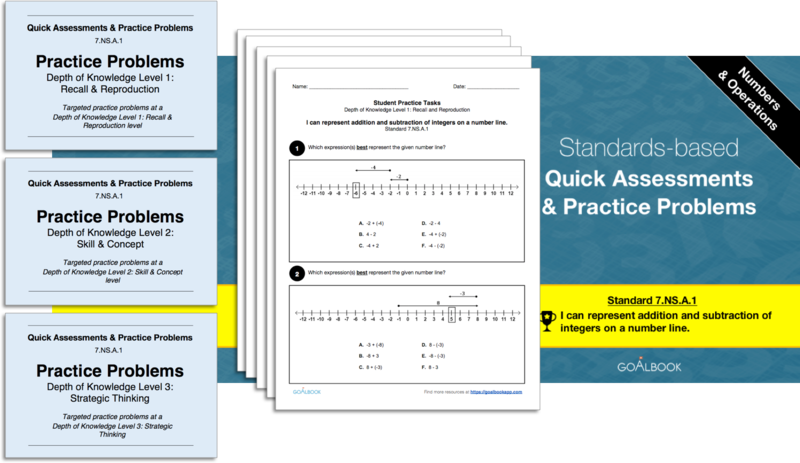 All of the newly released Math Quick Assessments include pre/post assessments with highly detailed answer keys that model student responses. The benefit of the model student responses is that they set a high bar for the level of rigor that teachers should expect from students. 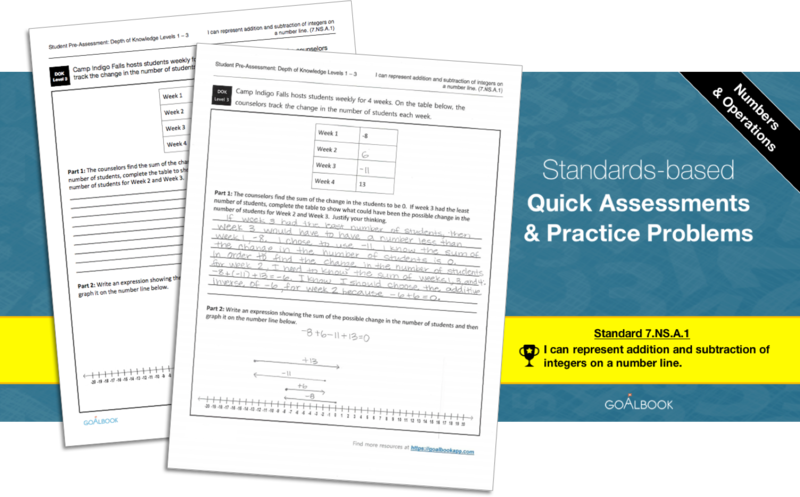 The practice problems included in these Quick Assessments are organized by DOK levels and scaffolded to the level of rigor of the tasks and problems on the post-assessments.